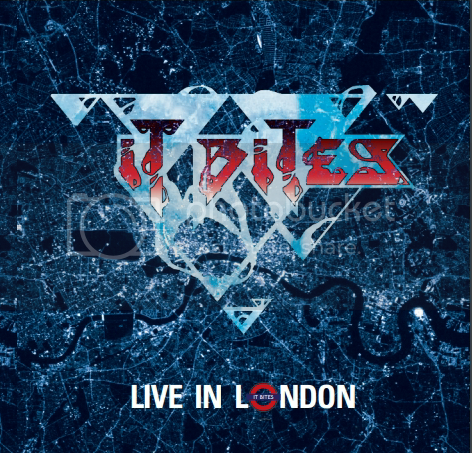 It Bites :: View topic - CD release! Posted: Wed Nov 15, 2017 1:11 pm Post subject: CD release! As you'll be aware, Bob has unearthed some old audio and is looking to release this via CD (and possibly vinyl if demand is high enough). I can confirm that the audio is from the April 1990 Hammersmith Odeon gig. I put out an earlier appeal on the Facebook page for fan memorabilia and I'm amazed at how many people have kept their tickets even after this long! If anyone else has anything specifically from that gig it would be brilliant to see a hi-res scan (you can e-mail it to dena@itbites.com). In the meantime, I've written a few sleeve notes, Vit P is doing an utterly fantastic job on the artwork and Bob is doing pretty much everything else! When I get a release date I'll update this thread and provide distribution and purchase details. "It's too early to say that it's too late to be happy"
Although there's no update as such yet, there is much beavering behind the scenes. I've seen the Vit P artwork and once again he's surpassed himself! I don't know about you, but I'm more excited than a woman of my age should be to hear this! Cannot wait to hear it. Bring it on! Latest new news on the CD is that this will now be available as a box set comprising two live gigs - the 1990 Hammersmith one as already mentioned, plus an Astoria gig from 1988. There'll also be a Billy Bonus CD contained within, but I can't remember if Bob has mentioned anything to anyone about that. He did allude to keeping it as a "secret" CD a few months back, so I won't mention anything here. If he's already mentioned it on Facebook then I'm sorry, and clearly a muppet! The box set will contained revised text, some never seen before pictures of the band and some sterling artwork from Vitamin P. Bob's been beavering away behind the scenes and we're now very much nearing a release date. When I get a confirmed date and price from Bob I'll update you. Ooh, looks good! Well done Paul. Looking forward to the CD. Nice artwork. I'm struggling to get that excited about this though. I already have a series of live albums as well as a job load of bootlegs. Is this really offering up anything new? New material is all I pray for. Mind you, I'm up for a new t-shirt if they get printed. Any ideas when the CDs might start shipping? I've not seen mine yet. Pre-ordered it on 05/08. Any news would be welcome! I've seen online from Bob that the CD has been slightly delayed but will start shipping mid-September.